Do you believe the conspiracy theories? It’s been almost 20 years since Tupac Shakur was murdered, but the rapper has hardly been able to rest in peace. This week, a retired cop supposedly claimed that he helped the beloved star fake his own death. This isn’t the first time fans have revisited his death based on real or imagined events. Rumors about Tupac secretly being alive—and living on an island somewhere-- have circulated for years. Like Elvis Presley and Marilyn Monroe, fans refuse to believe that the “California Love” rapper is actually dead. 2Pac back? Maybe so, according to these conspiracy theories. 2Pac was shot on September 7, 1996 in Las Vegas. 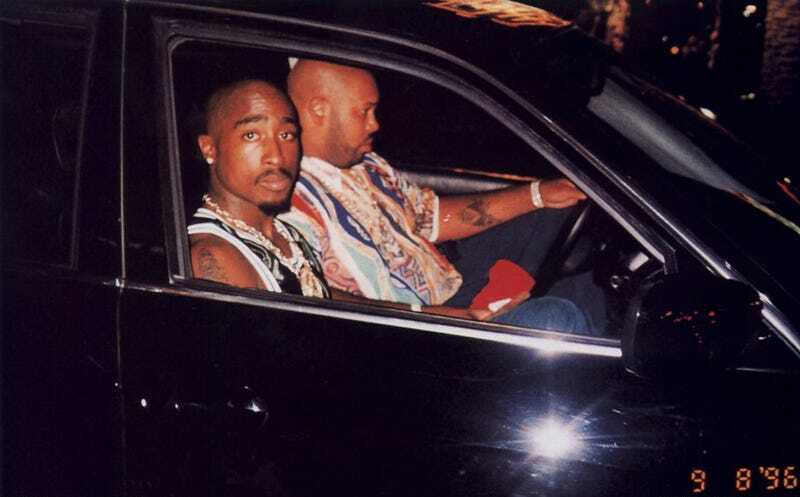 But the last known photo of him, riding alongside Suge Knight, is dated September 8, 1996! This is before Photoshop, folks. 2Pac has released nine albums since he’s been dead. In fact, his star power has only grown after death—creating something called “The 2Pac Effect” in entertainment. So, when did he have time to create and record all of these songs? According to some conspiracy theorists, Pac “knew too much” and is being hidden by none other than Uncle Sam. No wonder we can’t find him. The CIA dispelled the rumor in 2014 but let’s be honest, that information is too classified to Twitter. If 2Pac is alive and well, he’s probably on an island surrounded by beautiful women. Enter: the theory that the rapper is living in Cuba. Pac was close to political activist and fighter Assata Shakur, who fled to Cuba in the 80s, so it’s no surprise that he would want to leave the drama and spotlight of hip hop and join her. Until President Obama opened up US-Cuba relations, it looked like Pac could relax in peace.